Does Google AMP Blogger Affect SEO? Home AMP News AMP SEO Does Google AMP Blogger Affect SEO? 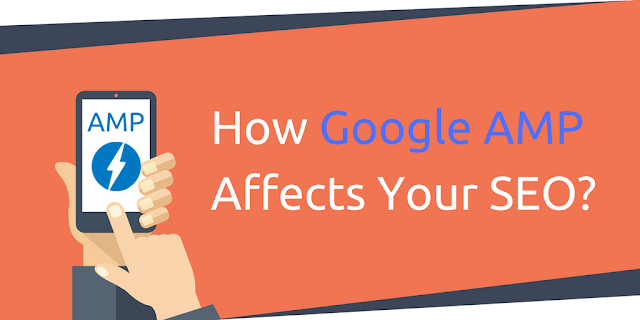 How Big Does Google AMP Affect SEO? Does Google AMP Implementation Affect SEO Blog? Google AMP is a new breakthrough from amp project that collaborates with Google to overcome the problem of speed of access to a site. By utilizing Google's cache feature, sites that use AMP html guidelines will be 200% faster accessed. There have been a lot of big blogs or websites that use AMP, for example CNN, India Today, BBC, and others. The basic thing that distinguishes which websites use AMP is if we look for a keyword, there will be a 'lightning' sign before the site address. If there is, that sites already using google amp.. Please note that the Google Lightning icon is only visible when you search for keywords on Google using a smart phone. So you must know that there are several factors that you must know before changing your blog to AMP. SI have been create an article about Before Switch Blog to AMP HTML, Read This Things First. Until now, there are still many websites or blogger who are reluctant to upgrade their blog pages to Google AMP. Especially blogger who use Blogger / Blogspot. In addition there are still many blogger who have targeted desktop users, where they believe that Google AMP has little affection on their site. One fact remains true: AMP is not a ranking factor. In a Google+ Hangout, John Mueller, Webmaster Trends Analyst for Google, confirmed this statement. There are those who assume that Google AMP has no effect on their blog SEO, really? I will try to opinion about this, let's discuss. How Big Does Google AMP Affect SEO? There are still many who believe that the use of AMP does not have a major effect on search results on Google. This is indeed legitimate, because in my opinion the use of AMP is not the only reason Google raises your site ranking on google search. We also need to know that Internet users do not always choose the first order in Google search results, even though position 1 on Google has the opportunity to get a click rate of up to 60% greater.. This cause is there are those who choose articles that are most relevant to the keywords of the consumer. And there are also those who choose search results because of the speed of the website. This actually has to be utilized, "the consumer psychology". Currently, I believe that Internet users are getting smarter in selecting search results in Google. Many already know that Google search results with a "lightning" sign on their website will be accessed more quickly. Evidenced by my page click rate in the search console, even though it is in position 4 on google, but the click rate is quite high (still in the range of 20%). The second factor of why AMP is quite influential on SEO blogs is "The privileges given by Google". Google often disappoints AMP, one of them is the many application references in support.google.com articles. In addition, on the Google Developer page, Google Tag Manager, and Google rich media, there have been many articles specifically for Google AMP users. This is reasonable considering that AMP html is indeed a big project from Google inc developer. And do you know, that Google strongly recommends implementing AMP for better Rich Media search results..
Google mentions to implement AMP that makes me personally believe that one day Google AMP will be the biggest factor in search results. Especially if you remember Google is now increasingly focused on mobile / smart phone users . Speed, a factor that also affects SEO on a page. Yep! AMP users will feel the web is very quickly accessed. Even in just a few seconds for one web page. The conclusion of this article regarding the opinion of how much influence AMP has on SEO is that currently AMP is not the only factor that affects SEO. But given the increasing number of smart phone users, and Google's special treatment of mobile users and AMP, maybe one day AMP html becomes one of the big factors ranking SEO pages.